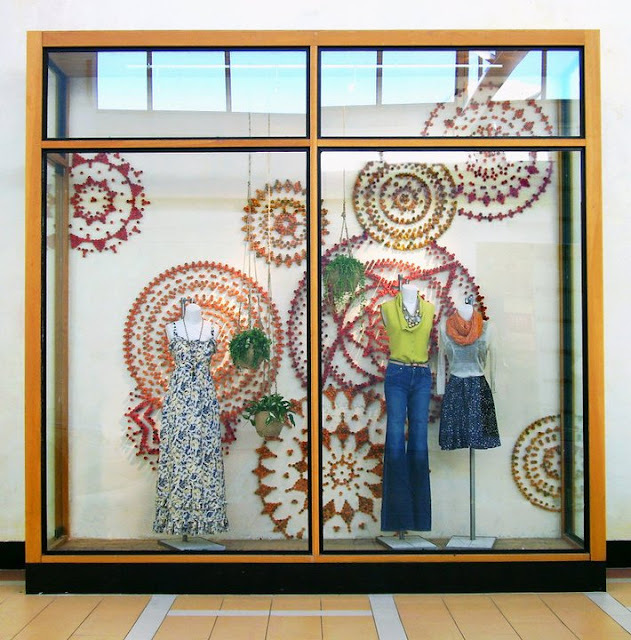 Just when I think my love for Anthropologie can't get any greater, they go & do something like this! It's no secret that wine is a dear love of mine! My dad & I even collect corks & make our own cork boards. 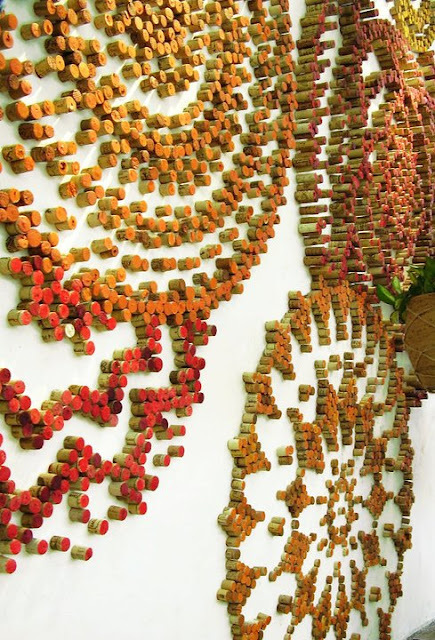 We make cute little patterns on the boards with the corks & they turn out lovely. 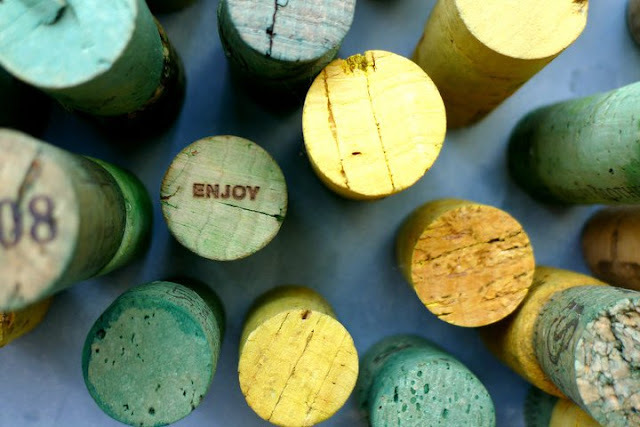 But Anthrogologie blows our little crafty wine cork project out of the water with theirs! 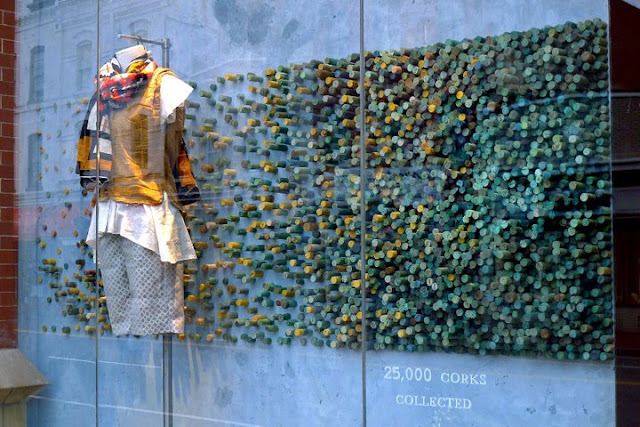 Check out the amazing designs they are creating with corks in some of their stores! this is amazeballs! 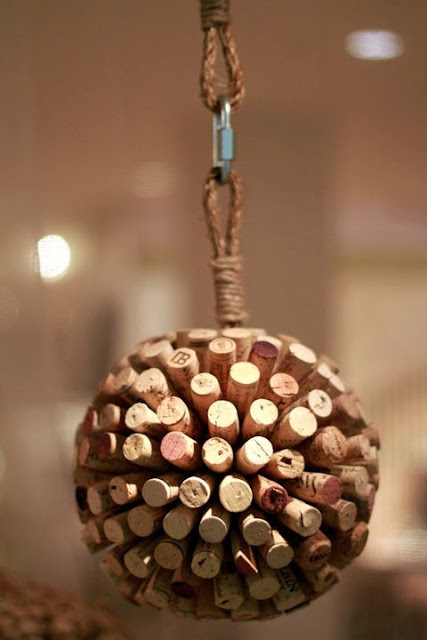 i collect wine corks too! I have about 600+ filling this GIANT globe on my counter. I keep looking at it and trying to come up with a plan. What a great inspiration from Anthro! Thanks for sharing!! I might try to recreate that circle image on a canvas. Wine is a favorite of mine too! the wheels in my head are turning....! 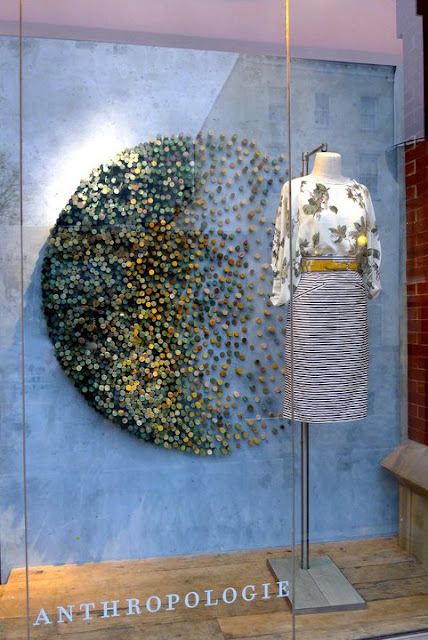 i saw that at anthro's facebook too and fell in love!